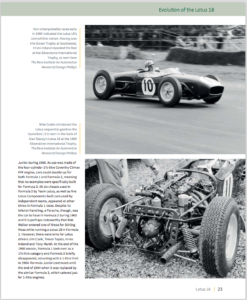 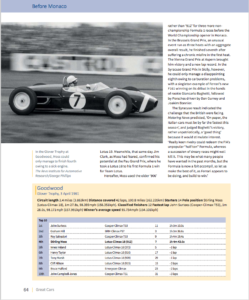 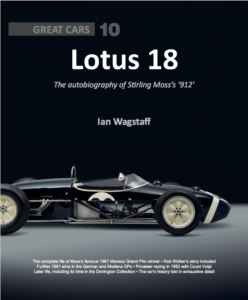 Porter Press is delighted to announce the release of their latest ‘Great Cars’ book, number 10 in the series, Lotus 18 – the autobiography of Stirling Moss’s ‘912’. 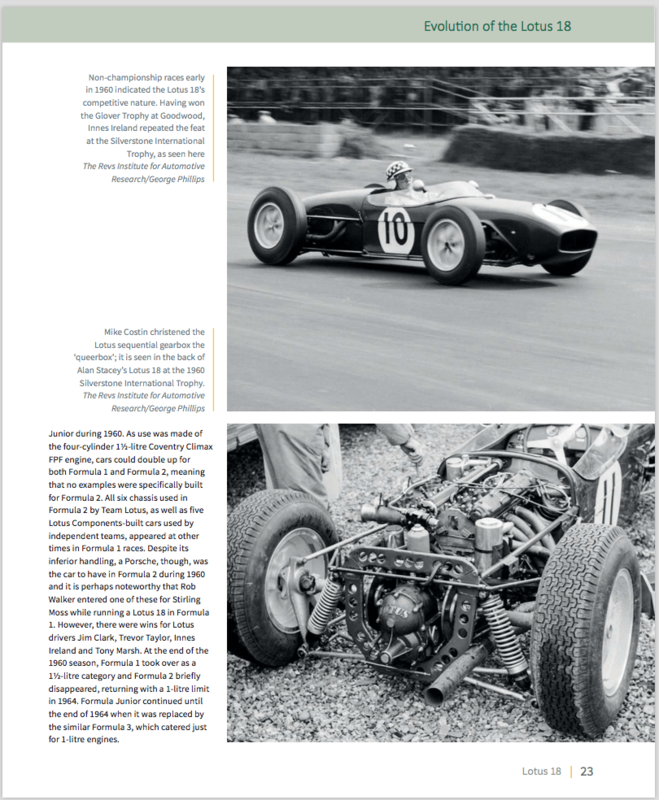 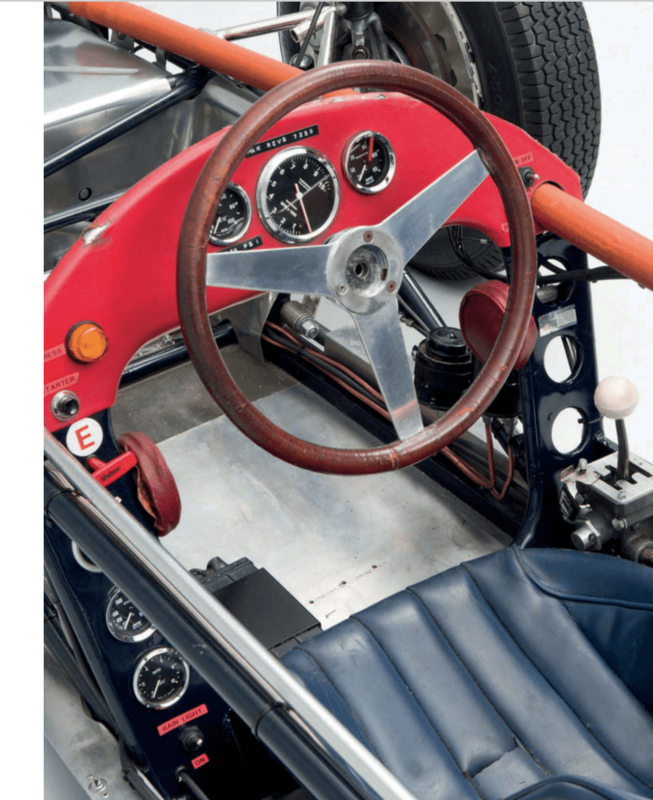 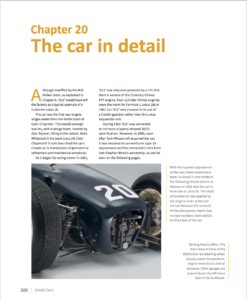 This lavish book tells the story of the car in which Stirling Moss achieved two of his most famous Grand Prix victories. 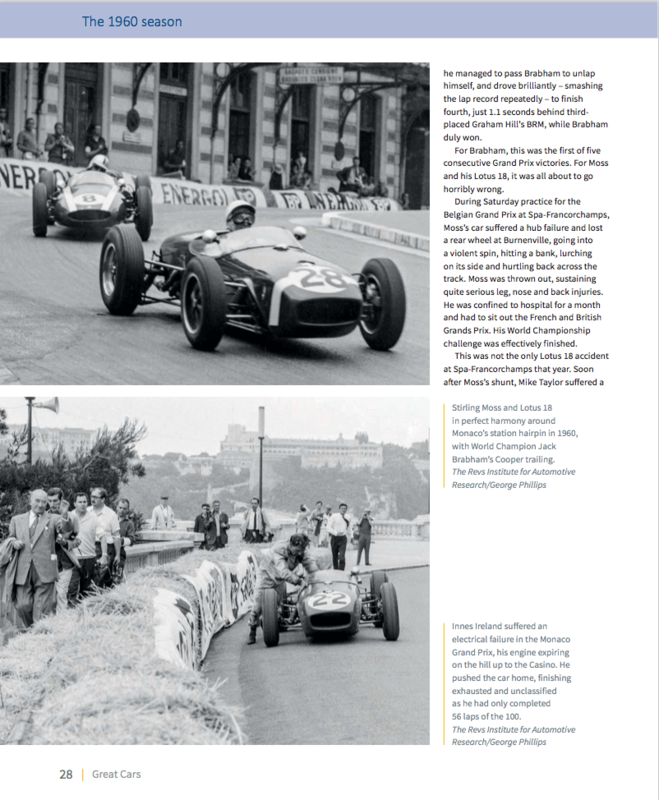 The first World Championship race of the 1½-litre Formula 1 era introduced for 1961 was the Monaco Grand Prix and Ferrari’s powerful new ‘shark-nose’ cars were expected to dominate it, but Moss used all his craft and guile to take a celebrated win in his Lotus 18. Although Ferrari did prove to be the dominant force that season, Moss scored a second success in this same car, chassis number 912, at the Nürburgring, a race that turned out to be the last World Championship Formula 1 victory of his career. 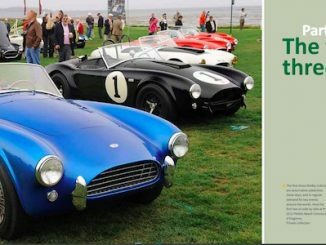 The car’s entire 1961 season and its subsequent life is covered in fascinating detail in this ‘Great Cars’ book, supported by a fine collection of period photographs. 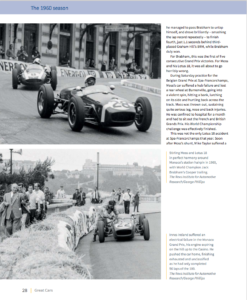 • The car’s seven other World Championship Formula 1 races of the 1961 season covered in full, with a special focus on Moss’s victory in the German Grand Prix. 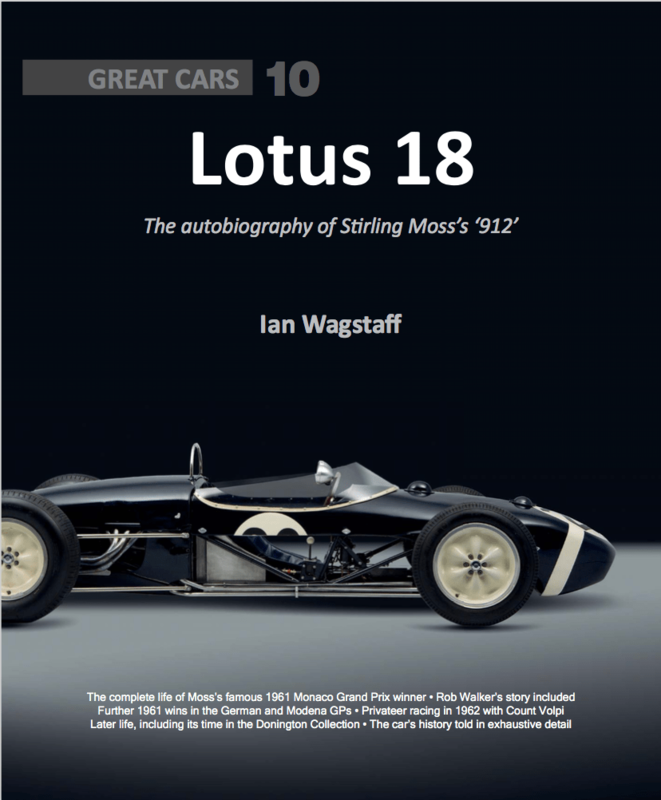 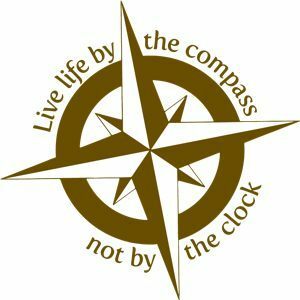 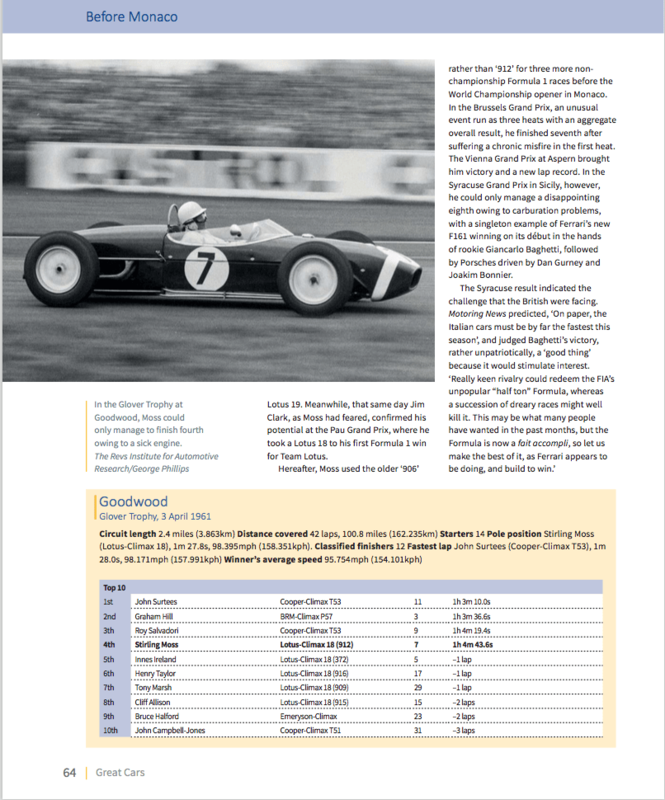 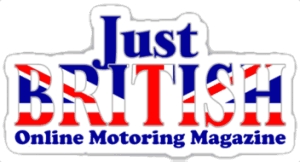 The author, Ian Wagstaff, is a seasoned journalist and author, has twice won the Guild of Motoring Writers’ prestigious book award, the Montagu of Beaulieu Trophy, for The British at Le Mans and his biography of Stirling Moss’s mechanic Tony Robinson. 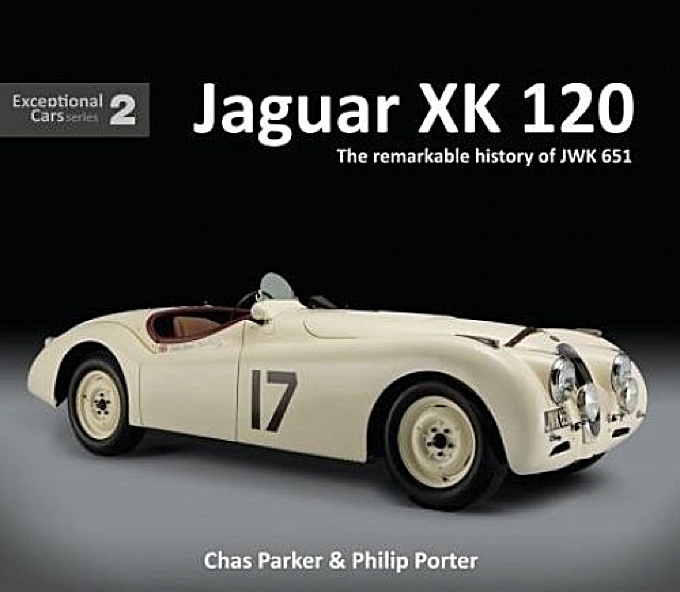 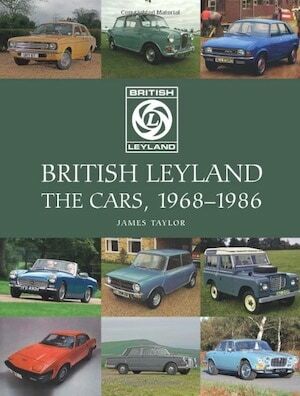 He has written two previous books in the ‘Great Cars’ series, Porsche 917 and Maserati 250F, both of which were shortlisted for the RAC Motoring Book of the Year award, respectively in 2015 and 2016.